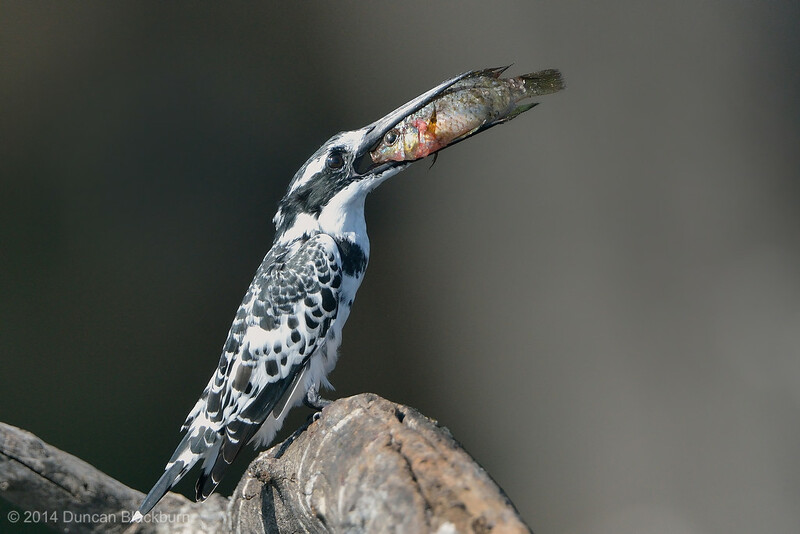 This a water kingfisher and is found widely distributed across Africa and Asia. Its black and white plumage, crest and the habit of hovering over clear lakes and rivers before diving for fish makes it distinctive. Males have a double band across the breast while females have a single gorget that is often broken in the middle. They are usually found in pairs or small family parties. When perched, they often bob their head and flick up their tail.